I know it’s very trendy to talk about slow travel these days, but my guests today and I have largely been doing it for years, just without knowing what it was called. 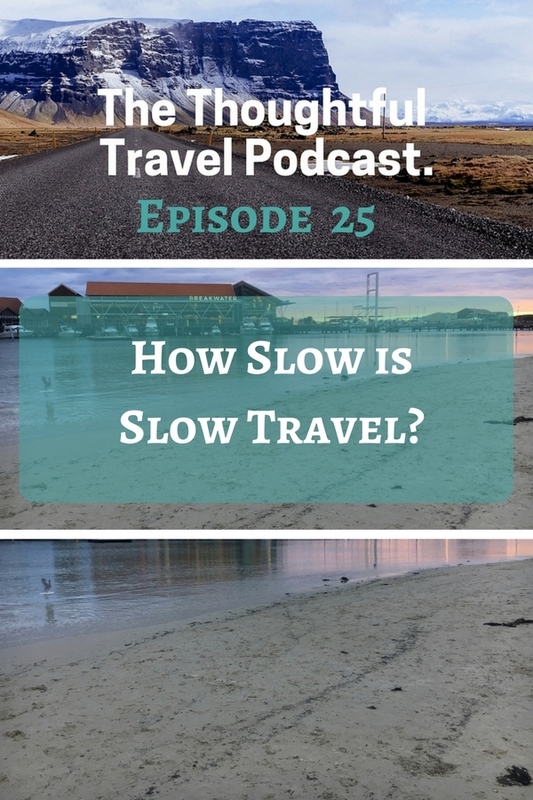 As I discuss a little on the episode, I’m not sure anyone will agree on a precise definition of slow travel, but it’s still a mindset that I aspire to follow every time I travel. It’s hard sometimes to see beyond the commercial hype of “seeing everything” but slowing down and taking your time to “smell the travel roses” basically always makes for a more enjoyable, more lingering experience. How Slow is Slow Travel? So just how slow is slow travel? We can probably all have some kind of similar idea on what slow travel is – being more mindful with how we spend our time travelling, not rushing around to tick off lists of all the sights, and possibly spending longer than usual in one spot – but how slow is slow? My guests in this episode all have a different take on how we can travel slowly, and my first one is a real champion at it: Jeff Ryan has taken 28 years to hike the Appalachian Trail! Not all at once, of course, but he has learnt some great lessons from these experiences about travelling slowly. Following this I chat with Jeremy and Katie Kloberdanz who are currently travelling full time and have used this experience to figure out the kind of slow travel that works for them. Finally, I talk with Lola Akinmade-Åkerström who has quite a different way of approaching slow travel, and one that I think has a lot of merit – you can use her strategy even if you don’t have a whole of time to travel. jackrabbit.fm listener survey – thanks in advance for taking it!